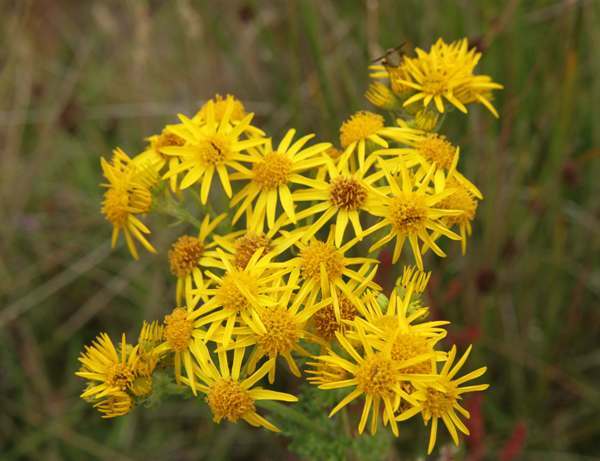 Common Ragwort is common and widespread throughout the UK and Ireland. 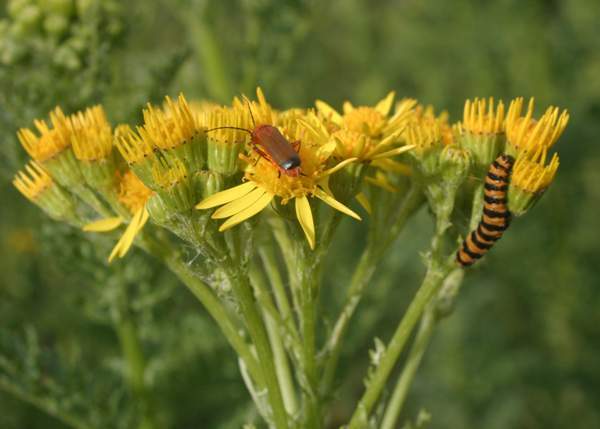 There are many species of Ragwort, a weed that is poisonous to cattle. Farmers try to eradicate this plant by pulling up the young flowers before they can seed, but the seeds can remain dormant in the soil for many years, so it is a continuous job. Oxford Ragwort, Senecio squalidus, is widespread in southern Britain and can be just as dangerous to livestock. 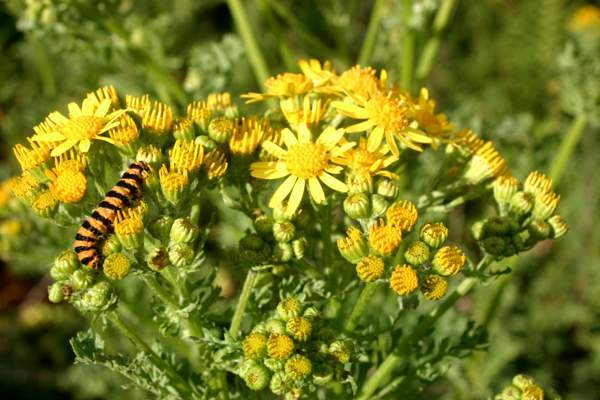 The larvae of the Cinnabar Moth (see above) feed on ragwort, often stripping the leaves completely. The first flowers appear in June, and Ragwort is at its peak flowering time in July and August; you may see a few stragglers in bloom as late as November. The pictures shown on this page were taken in Wales in July.